← Discussions and Debates in 2018! Well, there is no clear consensus on how we like our desks to look. Not a surprising result, yet instructive on how we each look at the world. Despite yesterday being #CleanOffYourDesk Day, I get the distinct impression that is not something widely celebrated within my circle of friends and colleagues. There are numerous studies (some results from one conducted at the University of Minnesota can be found here) that suggest a messy desk is a sign of creativity or genius at work. Personally, I’m ok with that. Although right now my desk is at its zenith of neatness, I am confident that will change as January progresses. I fondly remember my mother having a sign with Garfield the Cat on her desk that stated “A clean desk is the sign of a cluttered mind” and given the studies that have been done and some of the commentary shared by my readers, there seems to be some agreement to that point. So, do not fret over the mess. It may very well mean you are creative, maybe even a genius. Science will even back you up on that! What is a lesson learned from your 1st job that still serves you well today? 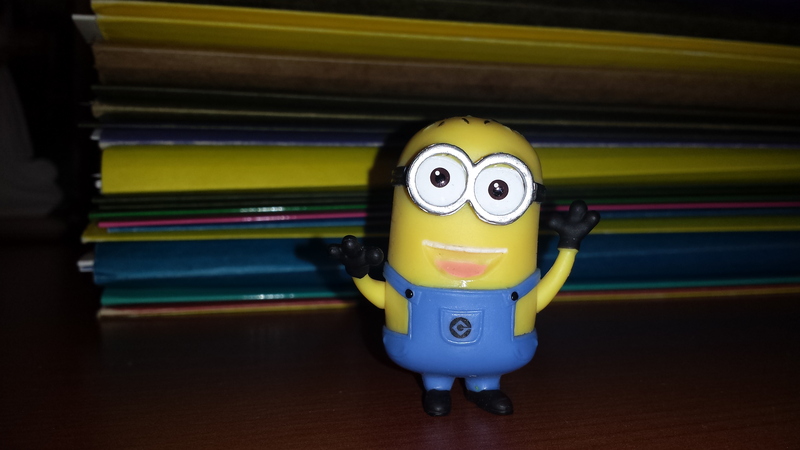 This entry was posted in HR Practices, Personal Development and tagged 2018, authenticity, cluttered, creativity, desk, etiquette, Garfield, genius, messy, Minion, Minnesota, neat, office, Personal, questions, reflection, SHRM, Teaching, University of Minnesota, work, workspace. Bookmark the permalink.